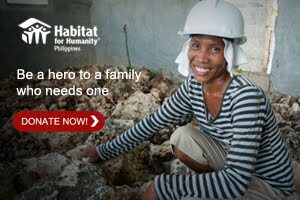 Asia United Bank (AUB) is one of the Philippine's reliable banks then it comes to services and products. AUB always has a real solution for clients weather here or abroad, offline or online. 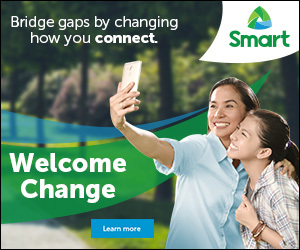 Today they launch another service that will provide customers a freedom to choose. AUB Easy MasterCard allows cardholders to choose the mode of credit card payment, how much to pay, how often to pay and even when to pay. You can have the total control on your credit card transactions like billing management and payment. Like for example you want to pay for your electric bill before its due date then you can call anytime, anywhere to them to do it and it will automatically charge on your credit card without any hassle. Then you can pay on the time or day you want it to or at any mode you desired like monthly, semi-monthly or even weekly. 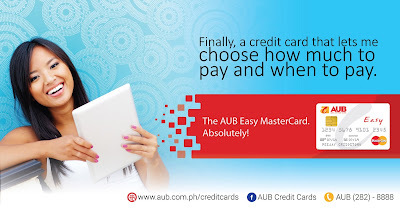 Moreover AUB Easy MasterCard comes with exciting Rewards program, electronic statement and "All-Ur-ills" feature that lets charge any utility bills. The card itself also have an EMV chip-enable and MasterCard 3D Secure for layers of protection for transactions. 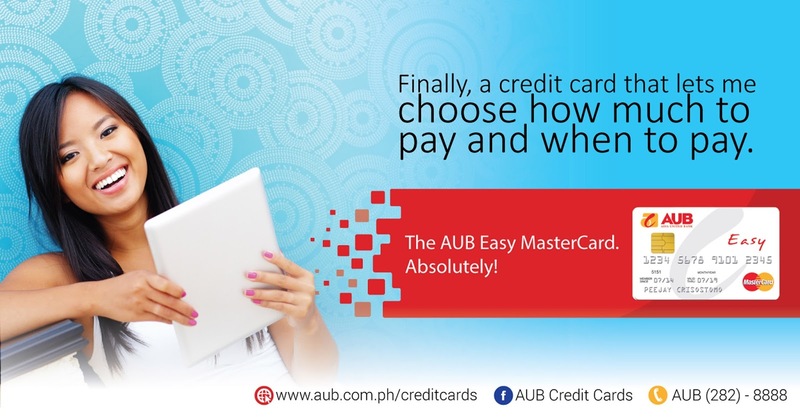 To apply for an AUB Easy MasterCard, visit www.aub.com.ph or call 282-8888.